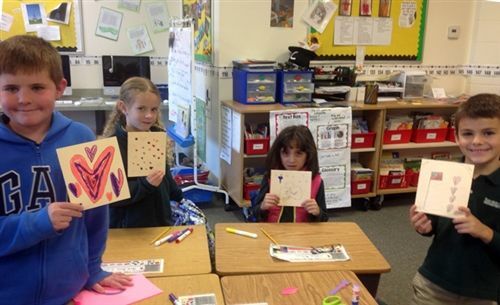 This week, Second Graders created Valentine's Day cards to send to our troops through Hugs for Soldiers, a nonprofit organization with the mission to support troops serving overseas. What better day than Valentine's Day to let our men and women in uniform know we care? The children wrote kind notes to the soldiers that were really moving and will be meaningful to the recipients.